Last week, two lovely people questioned me about my work. I don't look back at it often, but returned to my PhD thesis and various statistics-oriented posts I'd almost forgotten, like this one and this one. And then remembered a survey that I wrote for Geoff Lealand, the New Zealand editor of the second edition of the Directory of World Cinema: Australia and New Zealand. When I looked at it again, I realised that even in the year since I wrote it lots has changed. (I think you can also tell that I don't enjoy writing 'academic', am much happier in real-time immediate responses). So here it is while some of it's still relevant and to accompany Matthew Hammett Knott's interview with me, for his Heroines of Cinema series (blush). And I'd love to know what you question, or think is missing. That would help me as I research and write a New Zealand chapter for a book about women screenwriters around the world. Have at it, please, in the comments, emails, tweets, on Facebook, on the phone, in the supermarket. Whenever women directors are grouped together in an international context, New Zealand’s Jane Campion is always among the first mentioned. Niki Caro, Christine Jeffs and Alison Maclean are often included too. This global reputation is remarkable when New Zealand’s population is only 4.4 million. Within New Zealand, Gaylene Preston is prominent as well, with a career that outstrips that of any director of her generation. These women’s collective presence is so strong that until very recently it was generally believed that New Zealand had no woman director ‘problem’. But the low numbers of feature films directed by – and about – women are similar to those in many other countries. In the ten years to December 2012, women wrote and directed 12 per cent of feature films made in New Zealand by New Zealanders, men wrote and directed 72 per cent and the balance had mixed gender writer/director teams. Five per cent of feature films had women as writers and directors and a female central protagonist and a further 5 per cent that men wrote and directed also told stories about women. New Zealand women directors are also profoundly under-represented in ‘self-funded’ feature film-making, undertaken with an un(der)paid cast and crew and dependent on in-kind support of equipment and other resources from individuals, institutions and crowd-funding. In a recent list of New Zealand feature films made over the past decade, of all the features written and directed by women, just one was self-funded, Athina Tsoulis’s Jinx Sister (2008), 6 per cent, while of the films written and directed by men the proportion was 36 per cent. Two more, Astrid Glitter’s John (2005), and Rosemary Riddell’s The Insatiable Moon (2010) were written by men. 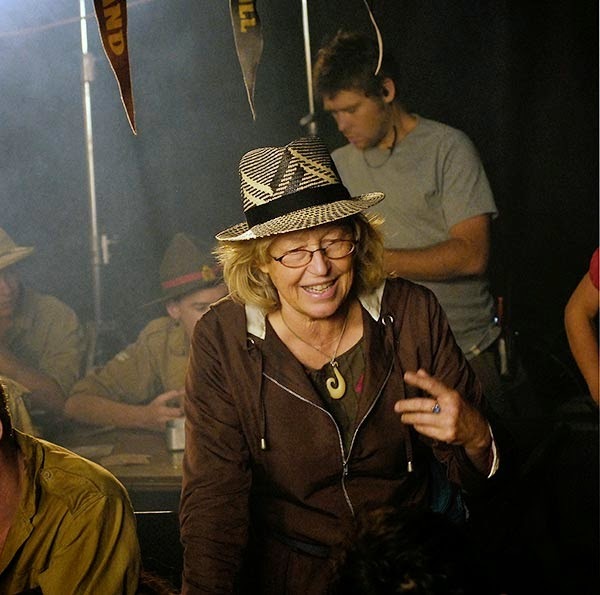 Andrea Bosshard co-directed two, Taking the Waewae Express (2007) and Hook, Line & Sinker (2011). Alyx Duncan’s The Red House won the Sorta Unofficial New Zealand Film Awards (the MOAs) Best Self-Funded Film Award in 2012, but was partially funded under the Screen Innovation Production Fund – a now defunct Creative New Zealand programme – by Asia New Zealand and by the NZFC for post-production. There is to date only one New Zealand webseries written or directed by a woman, Roseanne Liang’s Flat3 (2012). Women directors are a tiny minority in the local 48 Hours competition; and in a recent major Make My Movie competition organized by people also involved in 48 Hours, women directors’ representation in the twelve finalists was limited to one co-director. It is not possible to identify definitively the factors that affect women’s participation as feature film directors in New Zealand. The starting point is always that a film director’s life is very demanding for anyone, woman or man. Gaylene Preston has speculated that there are few women directors in the 48 Hours competition because women participate strongly in ‘director’ roles alongside men right up to the moment that shooting starts, but at that point they tend to take one step back and the men take one step forward. She suggests that this stepping forward/stepping back could be negotiated so that more women get directing experience and take responsibility for what appears in the frame. If this ‘stepping back’ exists in 48 Hours, perhaps its presence supports the view that it is pervasive on all the pathways to feature film-making, because many women are less ‘competitive’ and less ‘obsessive’ than men. It may also help explain why many more women are producers than directors and why many women prefer to produce projects by and about men. But there are external factors too, both general and specific. In general, women have less time and less access to resources, as measured by Statistics New Zealand/Tatauranga Aotearoa’s Time Use Survey (2011) and Creative New Zealand’s Portrait of the Artist (2003). More specifically, in the NZFC feature development process from 2006–09 the proportion of women-directed projects declined as they moved through the system towards production. This may have been because women-directed projects were less able to access the necessary extra funding and distribution agreements from sources beyond the NZFC, or because there was bias within the NZFC, conscious or unconscious. Global influences may also affect contemporary women’s feature film-making in New Zealand. These include the rise of less expensive digital film-making which in theory places feature film-making within the reach of all; media convergence; and the shift towards diverse small screens. In this context, feature film directors choose to work in television and commercials for economic or other reasons. For instance, Alison Maclean, who defines herself as a New Zealander, a New Yorker and a film-maker is currently developing a New Zealand project, an adaptation of Eleanor Catton’s The Rehearsal. But although Alison Maclean cannot make her self-written features as often as she would like, she enjoys the challenges of all that she does – film, television and commercials. She enjoys directing commercials – the images and the storytelling, the directors of photography and crews – they are compressed, short and fast compared with features. Television, in contrast, is very competitive and hard and she has decided to redirect her energies to commercials and films only, though she made two episodes of Bob Martin and Matt Watts’ Michael: Tuesdays and Thursdays, a Canadian television series (CBC 2011-) and loved it. She is also finishing a short, The Professor, about a woman who dreams of marrying a cowboy, and preparing The Other Side, a low-budget feature (personal communication, 2012). Although the factors that affect the scope of New Zealand women directors’ current participation in feature film-making are complex and affected by global influences, because New Zealand is small it is possible to isolate some New Zealand-specific current issues – re documentary and hybridity; Maori women directors; diasporas; producers; scriptwriting; and motherhood. Globally, women film directors are more strongly represented as makers of documentaries than of narrative features. It is no different in New Zealand. Gaylene Preston continues to make documentaries as well as narrative features. 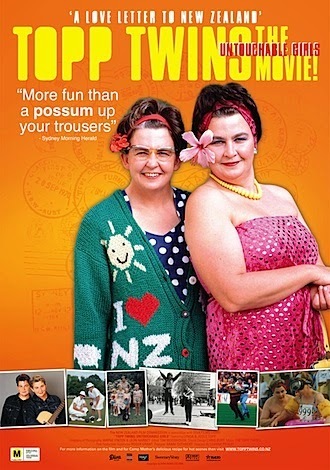 Other established documentary film-makers include Pietra Brettkelly, Annie Goldson and Leanne Pooley whose Topp Twins: Untouchable Girls (2009) was particularly popular and had theatrical screenings in the United States. A recent New Zealand trend towards hybrid features that incorporate re-enactments, or mix elements of fiction and fact is led by women directors – Gaylene Preston’s Home by Christmas (2010), Alyx Duncan’s The Red House (2012) and Leanne Pooley’s upcoming Beyond the Edge, about Sir Edmund Hillary’s ascent of Everest. Furthermore, as media converge, and with (for example) Jane Campion’s six-part television mini-series Top of the Lake being shown at the 2013 Sundance Film Festival and at the Berlinale, Gaylene Preston has taken this hybridization further, into television, with her Hope & Wire (TV3, 2014), a fictional series based on stories from the Christchurch earthquakes. This is very different to a docudrama. About 15 per cent of New Zealand’s population identify as Maori and given the robust participation of Maori men in feature directing, including telemovies, the low representation of Maori women as directors of feature films is a mystery. 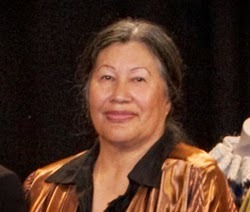 The last feature film a Maori woman wrote and directed was the late Merata Mita’s Mauri (1988), although actor, television and stage director Katie Wolfe directed telemovie Kawa (2011), written by Kate McDermott, following the success of her short films This Is Her (2008) and Redemption (2010) which she also co-wrote and self-defines as her ‘first Maori film’. Briar Grace-Smith, also a playwright and television writer, has now written three features: The Strength of Water (Armagan Ballantyne, 2009) winner of Best Script at the Writers Guild-run Script Writers Awards New Zealand (SWANZ) 2010; Billy (telemovie, Peter Burger, 2011); and Fresh Meat (Danny Mulheron, 2012). She also wrote and directed the short Nine of Hearts (2012). 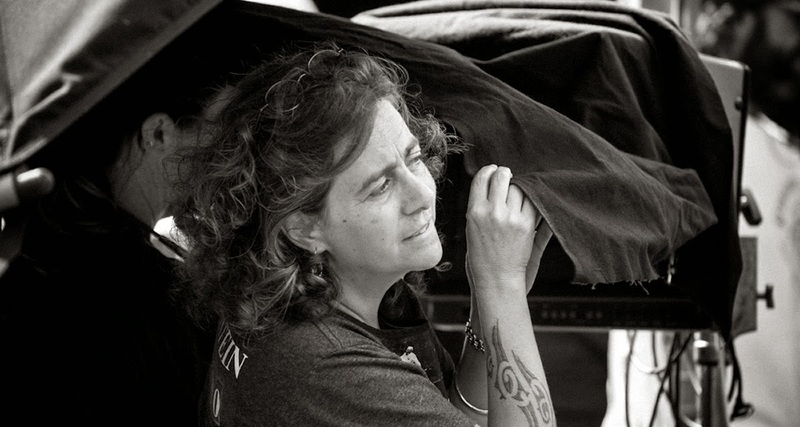 There is no lack of experienced Maori women directors who could make features. Awanui Simich-Pene directed Riwia Brown’s Irirangi Bay (2012) in Maori Television’s Atamira series of plays. Television documentary director Paula Whetu Jones attended the Canadian Women in the Directors Chair programme in 2009 with a feature script. Others are successful short film directors, for example actor and stage director Rachel House, who studied at the Prague Film School, and was awarded Best Director there for her first short film Bravo (2008) and the Best Film Audience Award for her second short New Skirt (2008). She also directed short film The Winter Boy (2010), a short, written by Kylie Meehan and funded by the NZFC, which appeared in many festivals. Playwright and documentary maker Renae Maihi wrote and directed Purerehua, an NZFC-funded short in 2011. Actor Nancy Brunning directed Journey to Ihipa (2008), written by Vicki-Anne Heikell. Reina Webster, a graduate of the prestigious Tisch School of the Arts, has directed music videos, commercials, documentaries and episodic television and wrote and directed the short Little Things (2004). Whetu Fala has directed two short films: Mokopuna (1992) and The Hibiscus (1995), written by Makerita Urale. Jillian White’s Moko (2000) was shown at Sundance. Riwia Brown, writer of Once Were Warriors (1994), is the writer and director of a forthcoming NZFC-funded short animation In the Rubbish Tin. 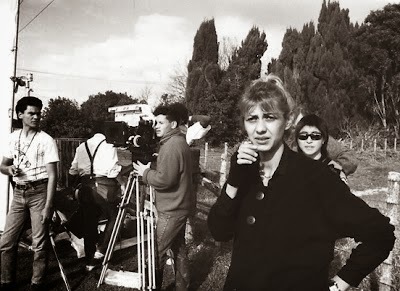 Libby Hakaraia wrote and directed a short, The Lawnmower Men of Kapu (2011), which won the People’s Choice Award at the 2012 Wairoa Maori Film Festival. Catherine Bisley has written, directed, and co-produced two self-funded short films, The Fish Will Swim (2009) and Alwyn Motel (2012), has a third, Wide Eyed, in production and funded through Premiere Shorts, and two feature films in development. Virginia Woolf wrote, ‘As a woman I have no country. As a woman I want no country. As a woman, my country is the whole world.’ Internationally, thanks to virtual communities on the interwebs, many women directors now participate in the daily diasporas, or 'scattering' of visual and spoken languages, of ideas and of cultures. This often incorporates aspects of intersectionality and makes Virginia Woolf's concept of women's global citizenship a reality. New Zealand women directors also participate in, have participated in, or have been affected by diverse short- and long-term physical diasporas into and out of New Zealand – not always by choice and not always as adults. The influences of these diasporas complement individual directors’ engagements (if any) with virtual communities and enrich our pool of films by and about women, whether or not these films are made within New Zealand. Jane Campion and Alison Maclean have been settled outside New Zealand for a long time but in 2012 Jane Campion returned to New Zealand to make Top of the Lake, her first New Zealand-based work since The Piano (1993). As noted, Alison Maclean is preparing to return to make an adaptation of Eleanor Catton’s multi-award-winning novel, The Rehearsal, with novelist Emily Perkins as a co-writer. 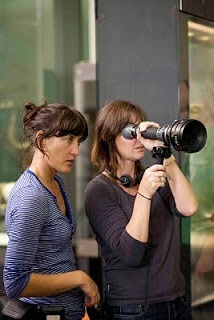 Based in New Zealand, Christine Jeffs and Niki Caro travel overseas to direct. Christine Jeffs’s most recent feature, United States-made Sunshine Cleaning (2008) will be followed by romantic comedy Wonderful Tonight, also being made in the United States, and in late 2012 was in pre-production. Niki Caro’s Disney sports drama, McFarland, is also in pre-production. In the next generation, there is Miro Bilbrough based in Sydney (Venice, 2012). Women who were born outside New Zealand, or whose parents immigrated here, are strongly represented within the small group of New Zealand women who have made features here over the last decade. They include Sima Urale, Samoa’s first woman director, whose short O Tamaiti (1996) won the Silver Bear at Venice, and who directed the feature Apron Strings (2008), written by Indian-born Shuchi Kothari (Firaaq ) and Dianne Taylor. Sima now heads the New Zealand Film & Television School. Roseanne Liang (My Wedding & Other Secrets , based on her documentary Banana in a Nutshell ) is the child of immigrant parents. Leanne Pooley emigrated from Canada. There are others making successful short films, including Zia Mandviwalla whose Night Shift with a Pacific Island protagonist was accepted in competition in Cannes in 2012 and Sapna Sanant, an Indian director whose Kimbap (2013) is about a Korean family in Auckland. I am a Mexican woman. And yes it is a Mexican film definitely because my soul is there. But at the same time it’s a New Zealand film because it happens in this country, this story of colonization is not the same as it happened between the pre-Hispanic and the Spanish people of my country. And of course the story comes from you [Witi Ihimaera] and Ruatahuna and the Ringatu people, and so the blood of it is Maori. It is a film that holds all those sources of identity and I think that is one of the reasons why it is such a powerful film (‘Witi Ihimaera in Conversation with Dana Rotberg; An Edited Transcript of a Video Interview’, White Lies/Tuakiri Huna Press Kit, Auckland 2013. pp. 19–24.). A small, highly specific, short-term and potentially influential diaspora to and from New Zealand is facilitated by the very popular annual Killer Films (New York) internship for emerging film-makers. Four of the five participants selected for this initiative have been women writers and directors: Michelle Savill, Catherine Bisley, Dianna Fuemana, Sally Tran. Another influential diaspora in and out is associated with the work of Peter Jackson and Fran Walsh. Two women directors from this diaspora are Nathalie Boltt and Clare Burgess whose short The Silk (2012), an adaptation of New Zealand writer Joy Cowley’s story of the same name (1985), has won a group of awards on the film festival circuit. This is not ‘good business sense’, but because the women involved are the best creative talent available and the stories depict a mix of characters from the real world. We have never found gender to be an issue with respect to employing creative personnel, be they writers, directors, production designers, editors, composers, etc. Given SPP’s commercial successes, however, it is arguable that their choices to employ, and to continue to employ, women have in fact been made on business grounds. The culture that SPP has developed also attracts women. When it advertised for applicants to its Emerging Writers Lab in 2011, half the applicants were women, and half of those accepted were women. Somehow, women screenwriters felt welcome and wanted to participate, in a way that they may not in NZFC programmes or in 48 Hours. Other producers have been less embracing of women’s contributions and many women producers – much more strongly represented than directors in any analysis of women’s participation in the industry – appear to prefer to produce projects with male directors. For example, West of Memphis (Amy Berg, 2012), a documentary made in the United States, is the first feature produced by Peter Jackson and Fran Walsh that an (American) woman has directed. On the other hand, Fran Walsh has for many years produced and co-written Peter Jackson’s films, often with Philippa Boyens. Some New Zealand women write and produce but do not direct, a useful way to achieve autonomy. Within the diasporas Emily Corcoran, based in London, wrote and produced Sisterhood (2008), filmed in London and New Zealand and wrote and is producing Stolen, to be shot in New Zealand in 2013. Donna Malane and Paula Boock’s Lippy Pictures is a highly successful, award-winning partnership which works to date only with male directors. It has produced two telemovies Until Proven Innocent (Peter Burger, 2010) and Tangiwai: A Love Story (Charlie Haskell, 2011) and written a third, Bloodlines (Peter Burger, 2010). In 2013 their Pirates of the Airwaves (Charlie Haskell), a docudrama about Radio Hauraki, a pirate radio station established in 1966, is in post-production. Another telemovie, Field Punishment no. 1 (Peter Burger), has also received funding. Lippy Pictures is crossing over to film, with one feature film in NZFC-funded development, The 10pm Question (no director yet attached), adapted from Kate di Goldi’s novel of the same name (2008) and another, Hungry Ghost (Elio Quiroga), adapted from Ian Wedde’s novel Chinese Opera (2008), for which they are seeking international investment. There is no shortage of talented women screenwriters in New Zealand. Women participate strongly at New Zealand’s only MA scriptwriting programme, at the International Institute of Modern Letters at Victoria University of Wellington where they consistently represent about half of each year’s class and have won seven of the eleven annual awards for Best Portfolio. At SWANZ 2012, Juliet Bergh and Jessica Charlton won both the Best Feature Film Script and the Best New Writer Award for their script for Existence, which Juliet directed. Women wrote seven out of ten final scripts for the inaugural Best Unproduced Feature Script, won by Linda Niccol, who wrote three of those seven scripts; Casey Whelan wrote two of them and was highly commended. Martha Hardy-Ward (who also writes for television and theatre) wrote Michelle Savill’s Ellen is Leaving (2012), which won Best Short Narrative at SXSW in 2103. As already noted, Briar Grace-Smith has written three produced features. Two of her plays were included in the six-part Atamira Maori Television series in 2012, alongside Riwia Brown’s Irirangi Bay. In conjunction with the SPP Emerging Writers Lab statistics, and the presence of consistently award-winning writers for television (including telemovies) and for theatre, like Fiona Samuel, Paula Boock, Donna Malane, Madeline Sami and Rachel Lang, these facts seem to indicate that the ‘problem’ is not related to lack of writing talent. To be honest, I’m not used to writing female protagonists in my screenwriting. For some reason, Paula Boock [and I] end up telling stories that are primarily about men. And it’s quite bizarre really, because there aren’t many writer/producers around and Paula and I formed Lippy Pictures and then we’ve gone on making male-dominated stories and it’s a bit of a joke actually […] the film we’re working on at the moment has I think forty-five male characters and one female […] It’s just embarrassing because we would love to write stories for and about women but […] somehow these ones we develop just seem to be about men (Freeman, 2013). Donna added that she and Paula would like her crime novels to go to screen. Some women delay having children until they have made their first feature. Others do not want to spend at least two years on developing and directing a single film because they believe that this would damage their relationships, especially if they are mothers. There is now, however, a strong tradition in New Zealand of women directors who are also mothers of young children, usually very well supported by an extended ‘family’. Gaylene Preston and Niki Caro provide cross-generational models for directors like Kirstin Marcon (The Most Fun You Can Have Dying ), Simone Horrocks (After The Waterfall ) and Roseanne Liang. The film industry is not a family friendly industry, for men or for women. It’s tough the way we work, it makes it hard to maintain relationships. When my daughter started school, I really felt the need to be around when she came home. I hadn’t always been there for her while she was a baby, and I have some very real regrets about that. So I took a year off and did a screenwriting course. When people asked me why I gave up camera to become a director, I’d say I looked around on set, and the only people who were allowed to have a family (or at least had enough power that if they needed to bring the kid and a nanny with them to work, they could) were the director, the producer and the stars. I’m not good with money, and I can’t act, so I joked that if I wanted to stay in the business, my only option was to direct. I felt really supported and lucky being able to make my film and raise a young baby at the same time. The filmmaking time was really intense and took a lot of hours, but it was also finite, so all I needed to do was make sure I was supported during those crazy weeks of production. I had the help of my husband, my family, and also wonderful childcare people, including someone sourced through production. I talked to female directors who had done it before and got solid, practical advice, as well as pointers about how my emotions might go haywire during the process! I made sure I got to see baby every day, even if it was only for 30 minutes. I tried to make sure that work was work, and time with him was time with him. It was really hard, absolutely, but I felt so supported throughout the whole process, like there was a big crowd of people who were there for me. I’m so humbled, and I think back on that production time with immense gratitude and fondness. I personally didn’t put having children on hold. My son was three-ish when I first read the novel, and he’s eleven now as we approach the release. He’s thoroughly sick of this film by the way! The year of actually making the film was tough on him, I was away for five months, and during the shoot I was barely available. I am very lucky in having an extremely supportive partner. I wanted to make the film badly, and I’ve been willing to make sacrifices to do it. The biggest sacrifices would be time spent with family and friends, time to myself, and literally years of income. Other mothers, like Rosemary Riddell (The Insatiable Moon ), come to directing once their children are grown. New Zealand has plenty of women with on-screen stories to tell and the skills to tell them. Women who want to direct have models of successful New Zealand women directors who work around the world and of women who combine feature film-making with motherhood. New Zealand’s state funding for feature films and the state-funded pathways to feature film-making are not however accompanied by institutional measurement of investment by gender nor a gender equity policy and the culture of its vibrant 48 Hours film competition appears not to be inviting for women directors. It is arguable that until these institutions acknowledge and address gender issues within their cultures women directors will continue to be under-represented in New Zealand feature film-making. References all accessed May 2013. Lots more about New Zealand women directors on my Pinterest board devoted to them! They are so awesome-- Please don't hesitate to send me more links! Fantastic article Marian - thank you so much! Thank *you*, dear Mandy. You're an inspiration! And I always feel so blessed when you respond!